In April and May of 1958, Indonesia went through a period of rebellion, as discontent on the peripheral islands, like Sumatra, grew because of lack of support and autonomy from the central government, which is located on the island of Java. Although Sukarno’s government was not communist, it did allow the communists to participate politically. That led the U.S. to covertly support the anti-communist rebels. On May 8 Allen Pope, an American pilot who had been carrying out attacks against the Indonesian military, was captured. This news reached the press and exposed the actions of the CIA in Indonesia. Pope was accused of bombing the rural village of Ambon and sentenced to death. The CIA was forced to curtail its operations and the rebels were defeated. 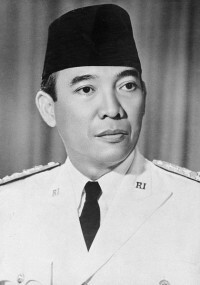 The Kennedy administration ended up making economic amends to Sukarno’s government. Edward Ingraham and William Harben, both political officers in Jakarta, were each involved in providing support to Pope while he was imprisoned and awaited execution. Paul Gardner was a political officer in the country after Pope was released and learned just how much the U.S. had supported the 1958 rebellion. 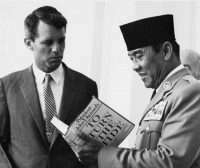 Gardner, who later became an ambassador, wrote a book about U.S.-Indonesian relations called Shared Hopes, Separate Fears: Fifty Years of US-Indonesian Relations. Ingraham and Gardner were interviewed by Charles Stuart Kennedy beginning in 1991 and 1992 respectively. Harben’s accounts are excerpted from his memoirs. INGRAHAM: There was that last incident in the 1958 rebellion, that happened just before I got there. The rebels had an air force of about a half dozen U.S.-supplied B-26s which operated over eastern Indonesia. One day in May 1958 they dropped a few bombs over Ambon. One bomb killed a fair number of people. Somebody managed to fire an anti-aircraft gun and hit the B-26, and out came two parachutes. One of them was an Indonesian and the other was a man named Allen Pope. In his pocket was a membership card to the officer’s club at the American air base at Clark Field. Pope was in jail the whole time I was in Indonesia. His trial took place in Jakarta, broadcast to the whole population. Pope was found guilty, sentenced to death, and held in a prison in the Jakarta suburbs. His main complaint while he was there was that he didn’t get enough exercise. We junior embassy officers would bring mail to him. Pope maintained from the very beginning, “Well, yes I was in the American air force and used to fly for Air America in Vietnam, but I decided on my own that I would leave the air force because I wanted to join the Indonesian rebels in fighting the Communists.” He stuck to that story. The Indonesians knew he wasn’t telling the truth. And he knew that they knew. But he stuck to the story. After they sentenced him to death, he was kept in a small cottage inside the prison walls. I remember that I once had to carry some weights over to him because he wasn’t getting enough exercise. He was an impressive guy. He was not a brilliant man of the world, but he stuck to his cover story to the end. HARBEN: The Central Intelligence Agency had been trying to help the PRRI-Permesta rebels. To strengthen the tiny rebel air force it had recruited a brave and daring flier, Allen Lawrence Pope, who became a one-man air force, bombing Indonesian troop convoys with great success until he was shot down. When he parachuted to safety, the tail of the aircraft broke his thigh. The muscles had contracted, pulling one segment of the bone up alongside the other. To set it, the Indonesian army doctors had to assign a couple of men to pull on his foot while others pulled under his armpits to bring the fractured bones into position where they could be set in a cast. Without anesthetic, the pain was excruciating. HARBEN: I was assigned to his case. He was soon to come to trial and I had to find a lawyer. No one wanted to defend such a politically unpopular defendant, but at last one lawyer agreed. The trouble was that neither I nor the lawyer had any knowledge of the international laws involved. I dimly remembered that prisoners of war were entitled to good treatment until exchanged. The ambassador was trying to dissociate himself from Pope in the belief that if the embassy came too conspicuously to his defense it would give credence to the charge, levied by the Communists, that the U.S. was behind Pope’s mission. Everyone knew this anyway. The result was, however, that my telegram to the Department of State requesting legal precedents was held up by the ambassador for a fatal two weeks, during which Pope made damaging admissions: i.e., that he had never signed any documents, he was not a regular member of their armed forces, and so on. This was the opposite of what he should have said, since only regular, uniformed members of an armed force in regular units are entitled to the protection of the Geneva Convention. The Department’s failure to supply the information without being asked as soon as the trial was announced is testimony to the legendary incompetence of that organization. Before the trial, Pope was “imprisoned” at the summer resort of Kaliurang, high on the slope of Mt. Merapi. He was given every opportunity to escape, and his guards even took him hunting with them. But he shrewdly calculated that “someone” wanted him to escape and provoke a manhunt all over Java. “How far would a big, blond, blue-eyed fellow get in that island?” I agreed and expressed the opinion that the Communists were behind it and would take credit for his certain capture. This case prompted an attempt at a bit of diplomatic detective work. The Communist press screamed that the butcher Pope had bombed the town of Ambon, on the island of Sulawesi [Celebes] on a Sunday morning, killing hundreds of churchgoers. The population was Christian and, more significantly, pro-rebel. But in questioning Pope I discovered that he had not arrived in Indonesia until a couple of weeks after the raid. Furthermore, he said the other rebel fliers hardly ever went out on missions, preferring to play cards in their barracks. Then who did bomb Ambon? Having been schooled in the devious schemes of the Russians, I instantly suspected that the government air force itself had done the deed and blamed it on the rebels in order to turn the population against the rebels and in favor of Sukarno’s government. Would the rebels have bombed their own people? Hardly likely. The head of the Indonesian Air Force was, moreover, very close to both the Russians, who had given him most of his airplanes, and to the Communists. I expressed my suspicions to the Political Counselor, pointing out that the Russians had shelled their own lines as a pretext to attack Finland and that the Germans had painted French markings on Luftwaffe planes and bombed Freiburg im Breisgau at the beginning of World War II. “Let me go to Ambon,” I said, “I’ll poke around and try to find some of the bomb splinters and send them back to CIA for analysis to see where they were made.” The Political Counselor refused, probably fearing the government’s reaction to an embassy officer going to a pro-rebel town. So the chance was lost. GARDNER: I quite frankly was never told anything officially about what we had done in Indonesia before by my government, because it was too secret to pass on to junior officers. But when I got to Indonesia, I found all the Indonesians knew it and were glad to tell me about it…. He was among the generals who were the most pro-American. 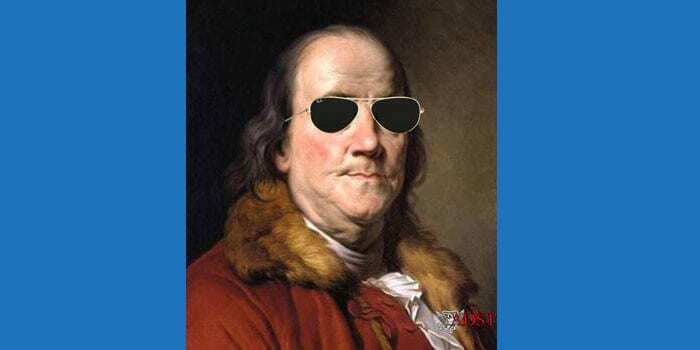 In fact he suffered a bit from…having gone to school in the States and being too close to the Americans. But it was quite clear that his suspicion of what we were up to had lingered on into the new order. This was in 1980 that this conversation took place and, of course, the rebellion took place in 1956. So all these suspicions stayed with him. What I learned is that these so-called covert operations may be covert in the United States but they are not covert there. They are very open and they have a strong residual effect that lasts for decades. And this was the thing that Sukarno used continually. He continually went back to the fact that the Americans supported the Sumatran rebels and had tried to infiltrate the Indonesian military. This was in many of his speeches. HARBEN: Pope was sentenced to life imprisonment but served actually about four years. He was a model prisoner from our point of view. I often thought that if the United States could always muster even a small number of men like him, it could win any war.